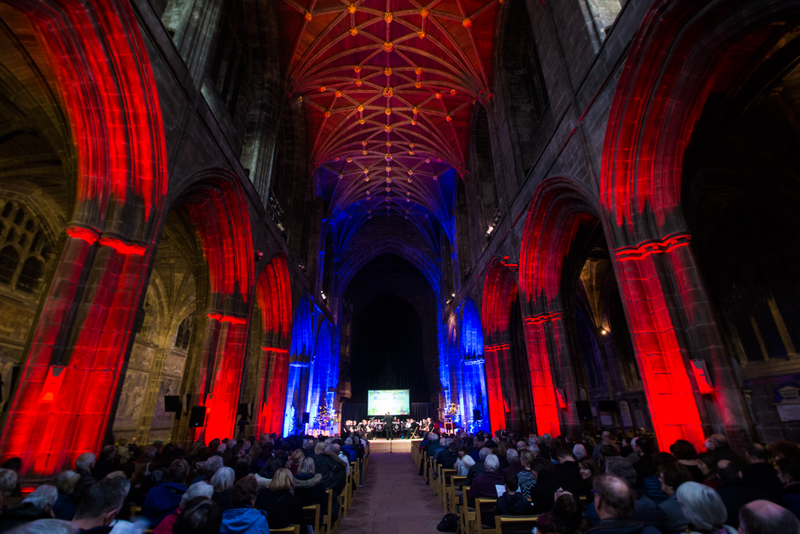 If your event needs to make a bold statement, create an exciting or magical atmosphere, highlight a beautiful building or showcase a launch product, event lighting can really bring your event to life. 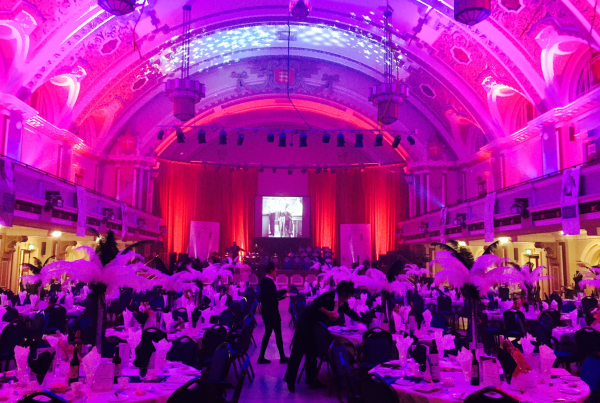 We’ve provided event lighting in a variety of spaces and buildings for corporate and private clients. 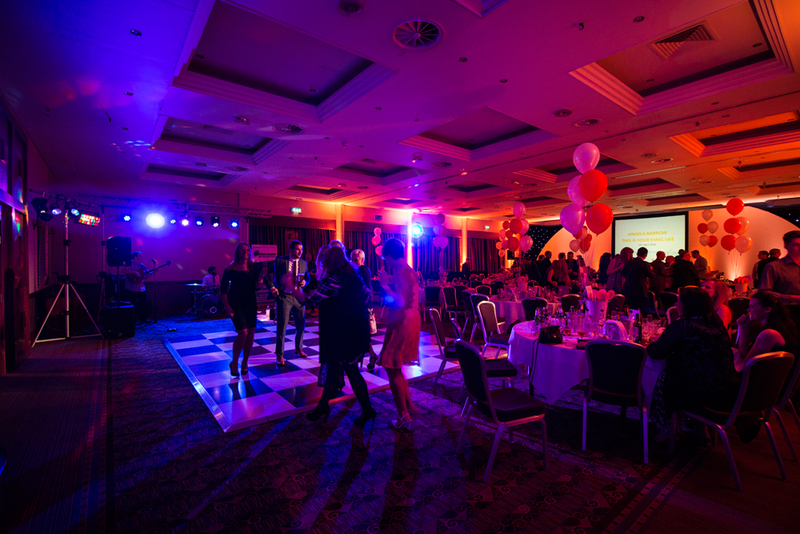 If you’re looking for an experienced and knowledgeable team who can deliver a flawlessly run event giving you the exact effect that you’re after, give us a call on 0800 644 6165. 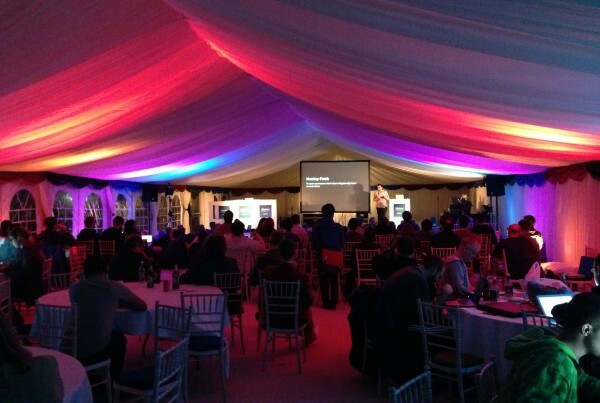 Why use Code Audio Visual as your event lighting specialists? We are a team of specialist engineers who’ve been in business for over 20 years. 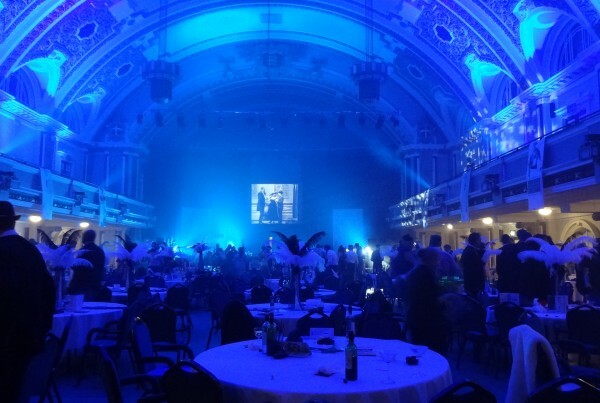 We have built up a large stock of high quality equipment and have delivered a wide variety of events. If you’re looking for a company that you can rely on to deliver a professional, and well produced event, Code Audio Visual is the company for you. We own our own stock of high-quality audio visual equipment, which we continually invest in, enabling us to continually offer more value to our customers. As a team, we have over 65 years experience in the audio visual industry, providing event production to an impeccably high standard. We are a team of sound, video, lighting and camera engineers with over 20 years experience in our respective fields. Owning our own audio visual equipment means that we can easily adapt to any last minute changes with ease. We always bring spare equipment to our events, just in case, but we won’t charge you for them. We will plan every detail of your event based on your exact preferences, including providing 3D imaging of your event. 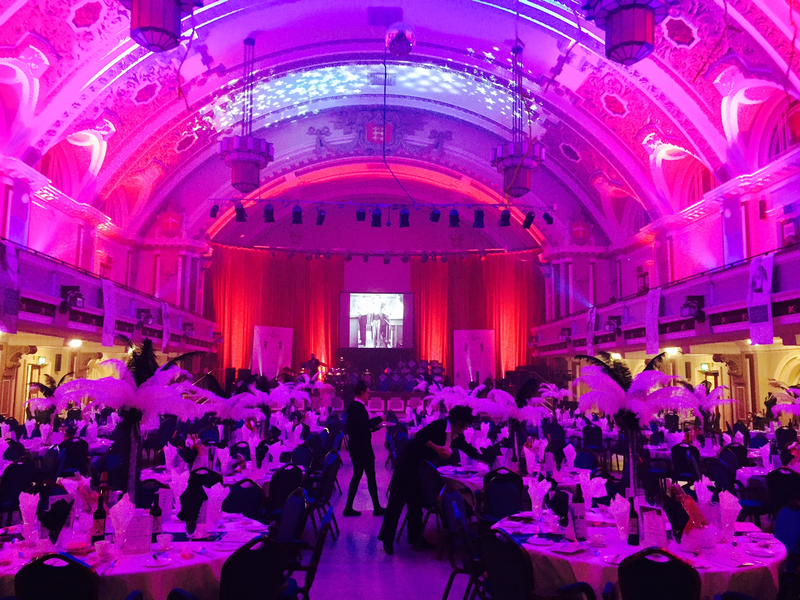 Light can be used for many applications, from theming a room in your company colour, showing off the architectural highlights of a building, or creating a magical atmosphere for your event. We have the expertise to use the correct lighting unit for the job, and plenty of stock to make that choice from. Whatever effect you’re looking for, we will be able to provide it. We have a huge stock of the latest LED lighting fixtures: there are many different types which are designed for different applications. We have LED up-lighters that sit low down and shine up the wall – from low power units suited for general applications up to high power units for well lit areas. We stock them in various different beam angle options depending upon whether the light is needed in a slim column up the wall or in a wide wash to colour the whole wall. We also own LED moving lights: these are incredibly bright and useful but can be split into two different types – profile and wash. Profile is a fairly narrow beam angle around 17 degrees, they can change colour and also project different shapes or images called Gobo’s. Wash moving lights provide a larger coverage of light between 25 and 60 degrees and cover a large area with colour. Our wireless battery powered lamps are great for getting up-lighters where there is either no power available, or avoiding the trip hazards of cabling to them. All our lighting can be controlled and programmed by our Martin M2GO lighting desk and produce some fantastic fades and effects, we can change one colour or every one, either instantly, or on long fades over half an hour or more. HOW CAN WE TAILOR YOUR EVENT LIGHTING? Gobo’s can be produced with your company name or a slogan, logo, in fact anything you want in any colour or multi-colour. These enable us to project the image onto floors, walls, ceilings, or even make them float around the room if needed. 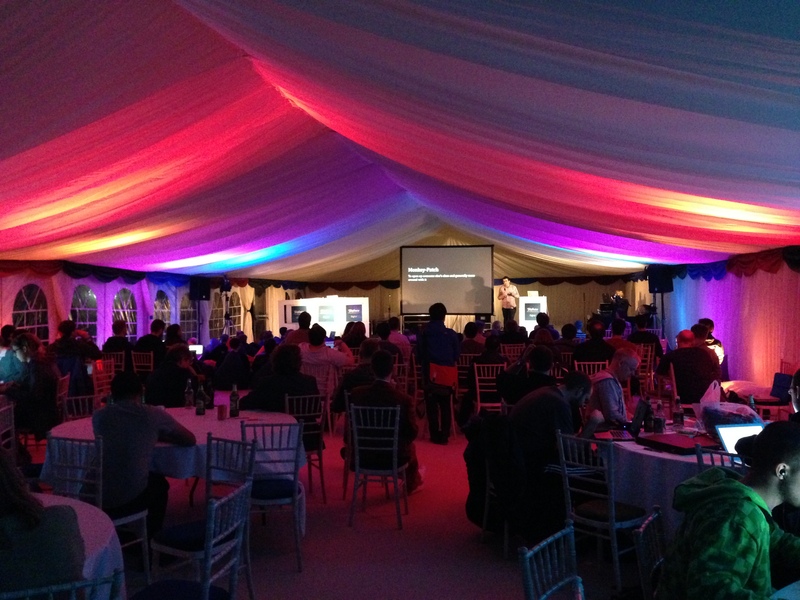 We can therefore make sure that your company image is well projected at your event. 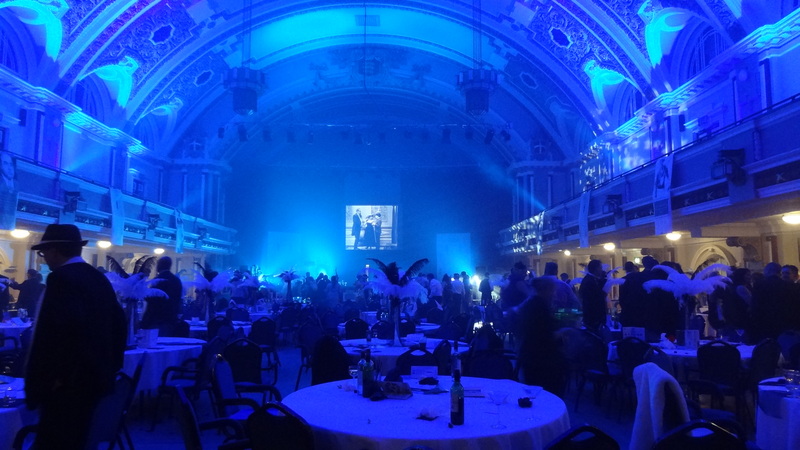 “We used Code Audio Visual for a corporate charity ball with 240 guests. Gary was great to work with from beginning to end! From having early morning meetings to fit in with my working day to the day of the event he happily accounted for our charity budget whilst transforming our venue into the main feature of the night, our event had so many comments on how good the venue looked I put most of this down to the fantastic lighting! Code were professional and efficient on the day and liaised with other external companies involved perfectly to ensure all sound quality was in sync throughout the night.